Scotta Brady, E-RYT 500, NASM-CPT is a Certified Yoga Teacher and Personal Trainer who began her formal yoga studies in 1996 after graduating from Auburn University with a B.A. in Philosophy. Blessed with the opportunity to study with many inspiring teachers around the world, she is full of immense gratitude for and admiration of each one. She is grateful to all of her teachers who have given her knowledge and support along the path. Studying yoga since 1996, Scotta began teaching in 2000 as service to the Mississippi community and beyond. Scotta’s greatest influence has been her son because he continually teaches her how to be a better person with his angelic sweetness, unconditional love, and youthful insight. "I love you, spud." She has also recently embarked on a year-long journey with Paul Muller-Ortega, Ph. D. and fellow sadhakas (friends on the path) to whom she expresses her deepest gratitude. It has initiated a powerful transformational shift in her practice & her life that continues today. Scotta continues her studies of hatha yoga, meditation, Tantric philosophy, and learning to love deeply. She teaches classes, workshops, immersions and Teacher Trainings and strives to give others what her teachers have given her: a greater awareness of her body, a more intuitive mind, and a taste of the sweetness of life. 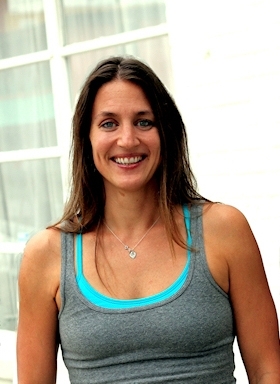 Scotta is not only the owner and director of Butterfly Yoga, a yoga studio in Jackson, MS, but also the director of its Yoga Alliance Registered Teacher Training program (RYS 200). To schedule a workshop or training at your studio or inquire about Butterfly Yoga's Teacher Training program, please e-mail scotta@butterflyyoga.net. Find her on Facebook and Instagram.